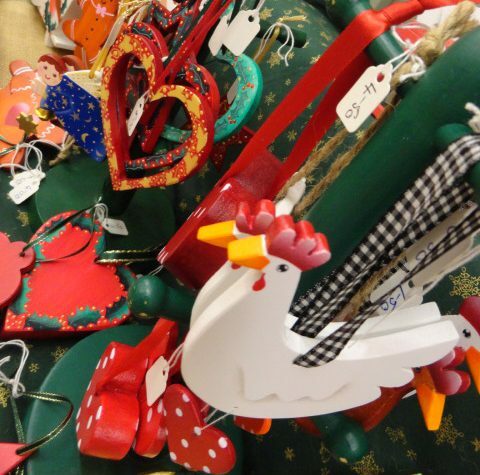 For several years, early November at Doddington Hall has been the time of the Winter Craft Fair which attracts many visitors, writes organiser Amy. Places are sought over; a long list of crafters are invited to apply in February. With three crafters per place, it’s a tough task to whittle them down to a line-up which embraces both popular makers, new makers and exciting new styles and designs as well as favourites. The result is four days of fantastic shopping for those seeking an original and unique gift. As the makers are exhibiting their own work, the event also offers the chance to meet the person who made the goods on the table. It’s an opportunity to learn more and enjoy the maker’s enthusiasm. It’s easier to appreciate an item if you understand the motivation, and skill behind it. The event has one set of crafters on the Thursday & Friday, a complete change then a whole new line-up on the Saturday & Sunday. If you want to come twice, you’ll be enjoying very nearly 80 of the area’s best crafters and makers. On the first two days, you’ll discover stunning fused glass, hand-painted wooden giftware, charming pyrography, beautiful and inventive mosaics, sublime soaps, vintage cake stands, fabulous felt hats, functional and decorative pottery, knitwear created from the crafter’s own wool, a range of jewellery techniques and designs, imaginative textiles, unique handbags, pretty stained glass, pet beds and toys, blown glass and photography of Lincolnshire and Norfolk. On the second two days, discover a whole new line-up of beautiful felt, stylish jewellery, beautiful stoneware pots, attractive bags & purses, wonderful wood turning, delightful millinery & hair accessories, quality leather goods, flower fairies and houses, bags made from vintage scarves, bird boxes, hand-turned pens, super textiles, intricate embroidery, Alpaca gifts, Tiffany-style glass, engraved wooden homeware, useful fabric boxes, photography, soaps, natural handmade cosmetics, kiln fused glass, wooden Christmas decorations, imaginative recycling, 3D cards, decoupage vases etc., paintings and prints, leaded and copper stained glass, clay decorations and Christmas baubles. The fair has become a popular annual event for those who love handmade goods and wish to share them as Christmas gifts or simply want to know more about a particular skill. The crafters and makers are also chosen for their friendly personality, so visitors can feel welcome to chat with them to learn more. Browse the full line-up of crafters here. 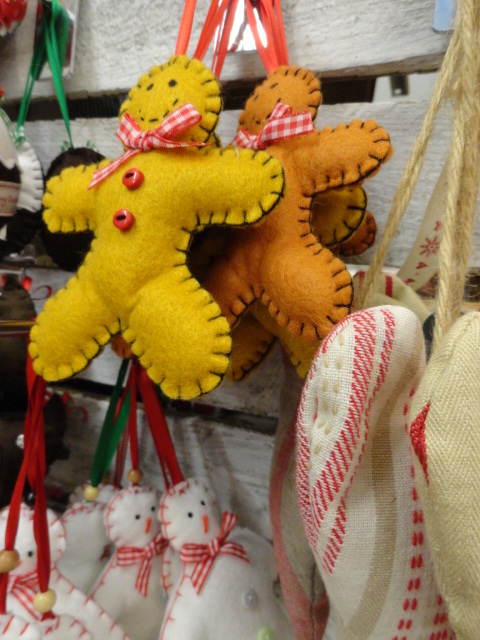 The Winter Craft Fair is open Thursday 3 – Sunday 6 November inclusive, 10am – 5pm daily (closes 4pm on the Sunday). Admission £1 per person (under 16s free). Located in our Coach House venue (between the Farm Shop and the Gatehouse).